Eager ballet dancers arrived in Sydney last weekend to commence their participation in the 2016 Genée competition. Representatives from London’s Royal Academy of Dance travelled out for the event – which is being held in Australia for the second time – along with the panel of judges and dance faculty coaches, working collaboratively with our local RAD team. The Academy has kindly shared these photos from this weeks classes with the delegates. Semi-finalists are currently being held at The Concourse, Chatswood, and the Final will be held at the Sydney Opera House on Sunday 11th December. Tickets for the final have sold out, but you can still watch the event via live streaming. 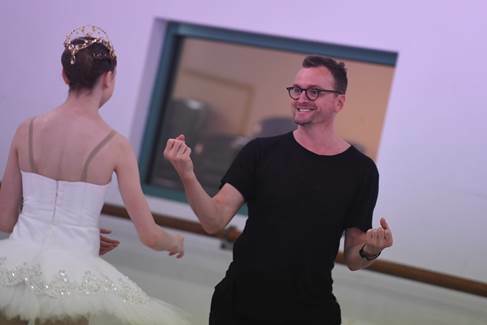 Read more about The Genee’s host for 2016 & its Aussie Ambassador. PIC 1: Genée 2016 candidates have the opportunity to work with their peers from around the world and aside from making life-long friends they learn from one another’s differences, strengths and weaknesses. PIC 2: Throughout the 10 days of the competition, from coaching through the Final, each day starts with class providing them with a glimpse of what ‘company life’ will be like if they are lucky enough to get a professional contract. PIC 3: Artistic Director Lynn Wallis with a male competitor. 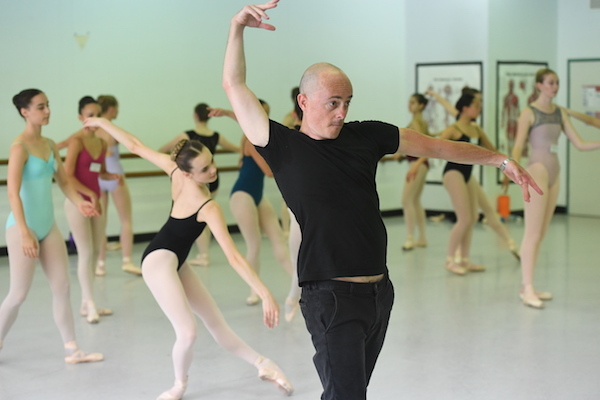 The Genée gives young dancers a unique opportunity to learn from international faculty, be part of the choreographic process and showcase their own individual talents. I have seen such improvement in all of them throughout the coaching process they were all ready for their moment in the spotlight. PIC 4: Artistic Director Lynn Wallis with the pianist Grant Kennedy. For many of these young dancers this is the first time that they have had the chance to work with a pianist and dance to live music. It’s such valuable experience to have to carry into a potential professional career and regardless it teaches them about collaboration. PICS 7 & 8: 2016 Commissioned Choreographer Tim Harbour, sponsored by Energetiks in the studio with the candidates, creating two original solos on them in the space of four days. PIC 9: Tim Harbour working with Mark Kay who is recording every step and arm movement in Benesh Movement Notation to ensure that future dancers will also be able to learn and dance Tim’s stunning choreography. All photos by WinkiPop Media.